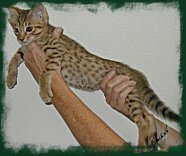 Ocicats come in twelve colors. On the right for comparison are several colors often seen in WildTracks kittens. 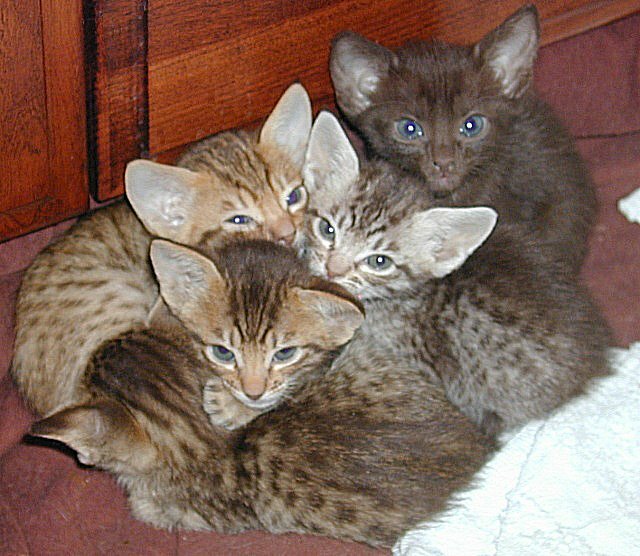 In clockwise order from the upper right is a chocolate solid, then chocolate silver spotted, and the rest are chocolate spotted. Though most Ocicats are spotted, the few solids and classics have the same personality. 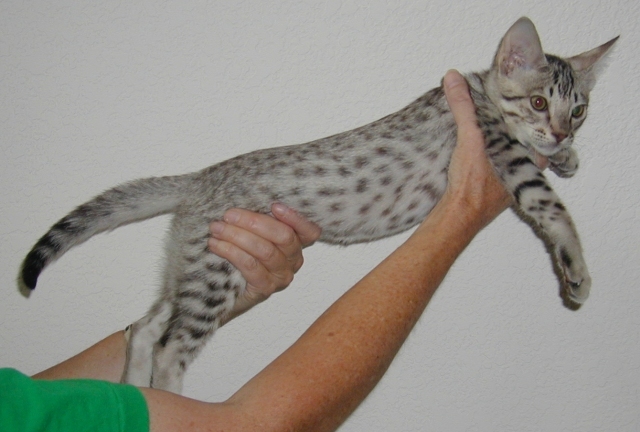 On the left is a chocolate silver spotted kitten. The high contrast of this combination makes for striking-looking cats. This seems to be a popular choice with pet owners. On the right is a chocolate spotted kitten. This color seems to be favored in the cat show circuit, so you will see many Ocicats of this color. 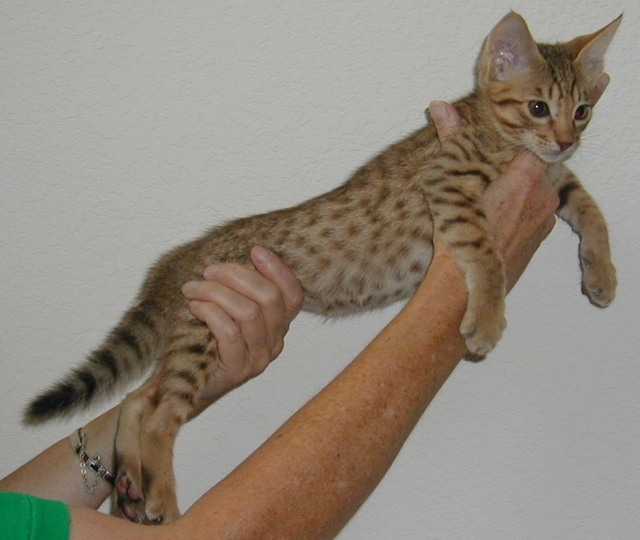 Next is a lavender Ocicat. Note the more subtle spots and the light lavender undertones, seen here most clearly on the legs and rear spine. You will probably not see as many of this color in the shows, but they are quite beautiful. The above are more popular colors produced by WildTracks. 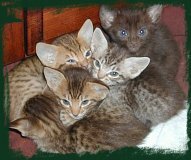 For more information on the full range of Ocicat colors, see an article on the Ocicat, and the CFA Breed Standard for Ocicats.